Last summer I had 2 guys from Holland over here to learn some Bushcraft skills. we spent part of the week on a island we sometimes use for courses. 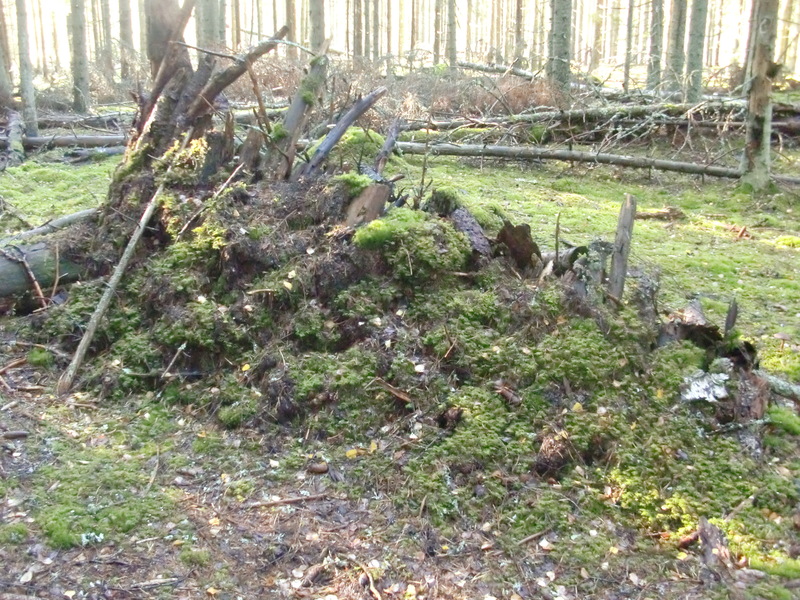 One day we made a shelter without any tools and used old rotten logs and moss to make a shelter. Last wee returned to the island and to my surprise the shelter was still there. Quite surprising since the last winter was quite hard and there was a lot of snow. But there you go a simple shelter made without any tools will withstand even the hardest of winters. Detta inlägg postades i English, Nature, Ute och omkring och märktes Bivack/skydd, Bushcraft den september 13, 2011 av Johan, Nordic Bushcraft.